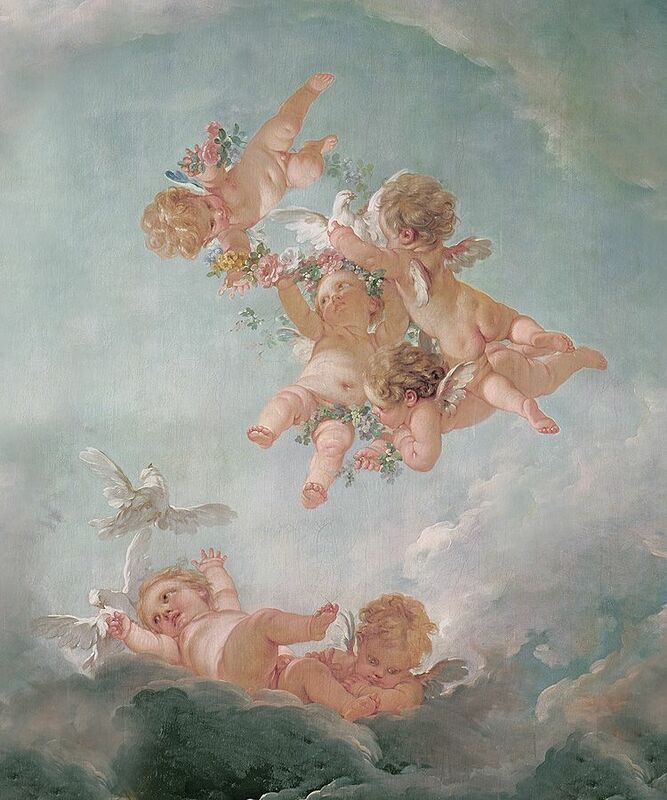 This glorious painting of cherubs is taken from a series of four paintings by Francois Boucher depicting the seasons painted in the 18th century for the Chateau de Fontainbleau. 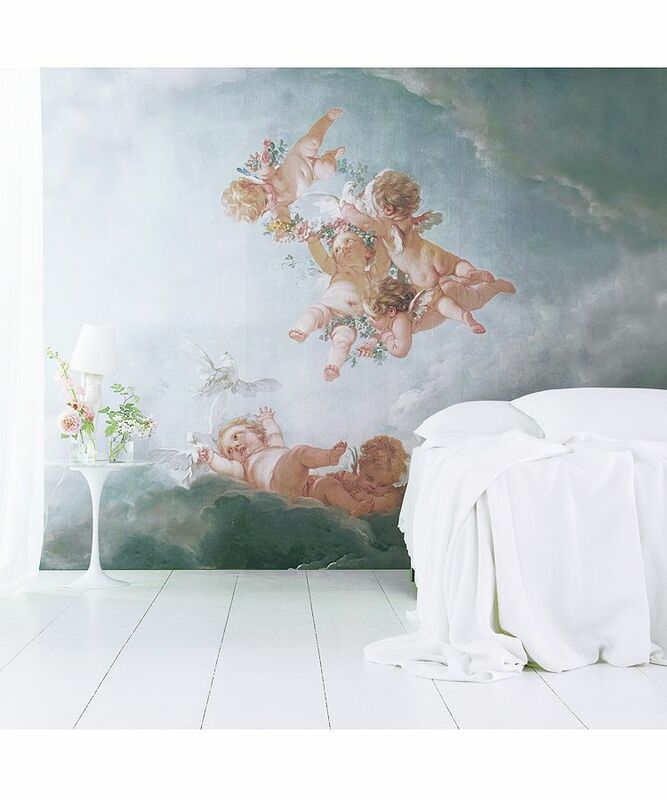 Our frescos are supplied as sections of wallpaper panels on washable heavy matt vinyl paper, ready to paste to flat, prepared walls. 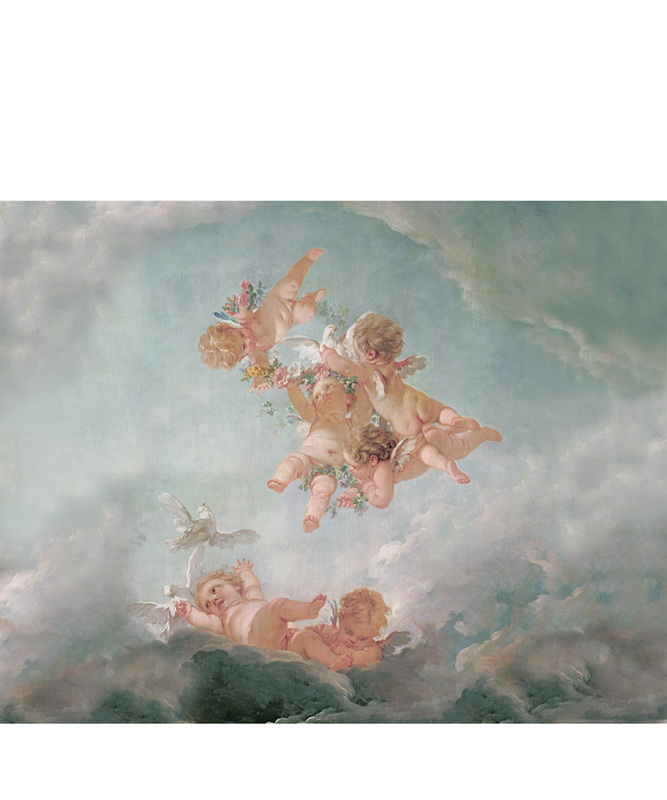 Our standard size, shown here, is 3 panels of 1m each 235cm high (7sq m), we can adjust the dimensions to order, but please bear in mind that if your wall is of vastly different proportions (ie much more square or much wider) the image will have to be cropped to fit. We will send you the final crop for approval before production. Prices will vary for other sizes.